Collectems is officially being developed for the playstation vita by game developer The Layabouts. Collectems is an open world RPG "made in the spirit of Pokemon Red an Blue." 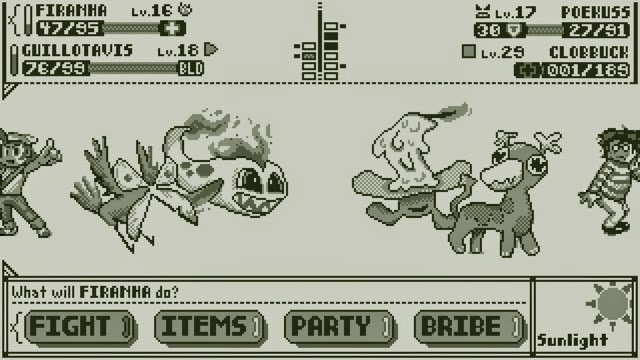 The game has the look and feel of the classic Pokemon games you used to play as a kid. Players will be able to discover several different Collectems species to battle out in a turn-based RPG style. Collectems takes the concept of an non-linear open world Pokemon game and adds a little unique concept to it. Players will be able to enjoy a randomized world each time they play. This means the location of species, opponents, and loot will be different each time you play. Collectems is in early development for the PS Vita system as well as the PS4. It is likely we will see cross-save and cross-buy functionality implemented, however it's much too early to determine that. Follow us on Twitter@PSVitaBoys for up to the minute news and monthly game giveaways!